Fraser Health says more than 30 per cent of children in the Vancouver area have not been vaccinated by their second birthday. SURREY, B.C. 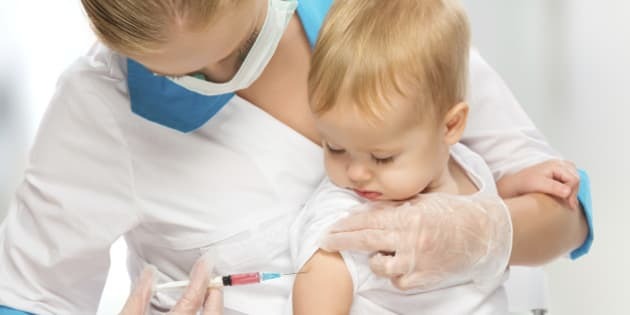 - A health authority says more than 30 per cent of children in the Vancouver area have not been vaccinated by their second birthday as per the recommended immunization schedule. Fraser Health, which serves 1.6 million people from Burnaby to Hope, B.C., says a recent outbreak of measles in Disneyland serves as a reminder for parents to get their kids vaccinated on time. The authority is reminding parents that childhood immunizations in B.C. are free, safe and recommended to be given when children are two, four, six, 12 and 18 months old. A booster shot when children are four ensures they're protected against preventable diseases. Parents can sign up for free text reminders of their child's next scheduled vaccine or download an app called ImmunizeCA, which helps manage vaccination appointments. The measles outbreak that originated in Disneyland has grown to 95 cases, mostly in California but also in other states including Washington, Oregon and Arizona.